Come home to this Lake Kegonsa gem with 50 feet of level lake frontage. Absolutely stunning sunset views! This custom built 2 story features an open concept, spacious main level with lots of space for entertaining. 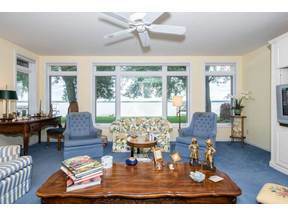 Large picture windows both upstairs and down with beautiful lake views. The main floor master suite features built-ins and a huge walk-in closet w/laundry. Three bedrooms upstairs all with walk-in closets and two full bathrooms. Enjoy your morning coffee on the screened patio and start enjoying the good life!